A vintage from Cameroon, from the Haut Penja. The mist that hangs around the dormant volcanoes of Penja comes out of the cocoa plantation on the slope. 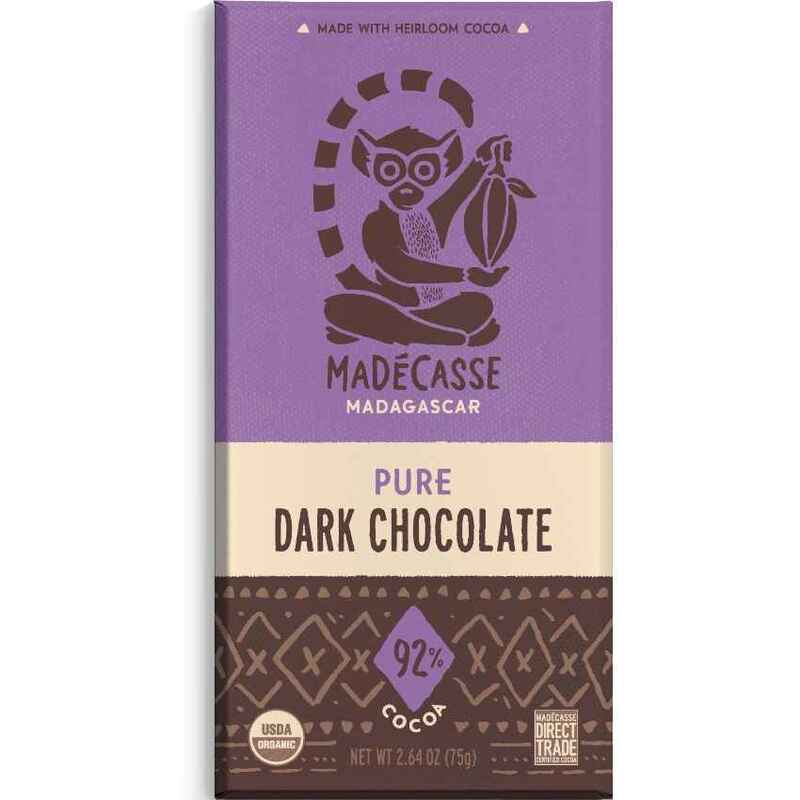 The rich fertile soil gives this bar the delicious fruity taste of vanilla, blackcurrant and chestnut. L’Atelier des 5 Volcans has its own plantation on the dormant volcano slope near Penja. It is in the first place an area known for the white pepper. But also very nice cocoa comes from here. Laetitia Paravisini is a trained patissier and has been extensively skilled in the world of growing cocoa and chocolate making. She did this also in South America. When she arrived in Cameroon in 2013, many cocoa plantations were abandoned. The farmers simply got paid too bad. They switched to growing oil and rubber palms. Leatitia took over the management of two deserted plantations, including Haut Penja (37 ha), and brought them back to life. She works with twenty people on land and in the workshop. They are trained in growing, harvesting, fermenting and drying. And of course, making great chocolate. By making chocolate in Cameroon, much more income remains in the country.